In the 1900 census of Wilson, Wilson County: Virginia-born “horseler” Henry Johnson, 76; wife Luisa, 46, cook; and children Gertrude, 19, Mertie, 17, Walter, 10, and Richard, 8 months. Charles T. Jones, 24, married Gertrude Johnson, 22, on 23 April 1903 in Wilson. Missionary Baptist minister Fred M. Davis performed the ceremony in the presence of William Gay, Lucy A. Richards and Rosa Farmer. John Daniel Jones died 14 March 1914 of catarrhal pneumonia in Wilson. Per his death certificate, he was born 15 June 1913 to Chas. Jones and Gertrude Johnson and resided on Nash Street. On 20 September 1914, Butler Jones, 34, son of Henry and Sue Jones, married Mirtie Brodie, 28, daughter of Henry and Louise [Kersey] Johnson, in Wilson. A.M.E. Zion minister H.E. Edwards performed the ceremony, and Ed Cox, Chas. T. Jones and Minnie McDaniel witnessed. In the 1920 census of Wilson, Wilson County: at 667 Nash Street, minister Charlie Jones, 41; wife Gertrude, 39; children Ruth, 16, Charlie, 14, Elwood, 12, Louise, 10, and Sudie, 4; plus mother-in-law Louisa Johnson, 65. On 24 December 1926, Simon Plater, 30, of Scranton, Pennsylvania, son of Simon and Birdie Plater, married Ruth Jones, 22, daughter of Charles and Gertrude Jones of Wilson. The bride’s father, a Missionary Baptist minister, performed the service in the presence of Gertrude Jones, Louisa Johnson, and W.E. [William Elwood] Jones. In the 1930 census of Wilson, Wilson County: on Harper Lane, farmer Charlie T. Jones, 52; wife Stella [sic], 49; and children William E., 23, farm laborer, Louise M., 20, and Sadie, 14. Sudye Jones died 4 March 1937 of meningitis in Greensboro, Guilford County, North Carolina. Per her death certificate, she was 21 years old; was born to Charles T. Jones of Hertford County and Gertrude Johnson of Wilson County; was a student at Bennett College; and was single. Rev. Charles T. Jones, 412 East Vick, was informant. In the 1940 census of Wilson, Wilson County: at 412 Viola, owned and valued at $2000; Charles Jones, 61, janitor at Vick School; wife Gertrude, 59, a tobacco factory stemmer; daughter Ruth Plater, 35, divorced, teacher; grandsons Torrey S., 12, and Charles S. Plater, 11; son-in-law Ruel Bullock, 35; daughter Louise, 30; grandsons Jacobia, 7, Robert, 6, Harold, 4, and Rudolph, 7 months; and granddaughter Barbara Jones, 6. In 1940, William Elwood Jones registered for the World War II draft in Halifax County, North Carolina. Per his registration card, he was born 6 January 1907 in Wilson; he resided in Halifax, North Carolina; his contact was mother Gertrude Jones, 412 East Vick Street, Wilson; and he was employed by Weldon City Schools. Charles Thomas Jones died 2 September 1963 at his home at 412 North Vick Street, Wilson. Per his death certificate, he was born 15 October 1878 in Hertford County, North Carolina, to Henry Jones and Louisa Copeland; was married to Gertrude Jones; was a minister; and was buried in the Masonic cemetery. Informant was Ruth Brown, 906 Faison Street, Wilson. Louise J. Bulluck died 27 June 1968 in Wilson. Per her death certificate, she was born 4 July 1909 to Charles Thomas Jones and Gertrude Johnson; was married to Ruel Bulluck; resided at 412 East Vick Street; and was buried in the Masonic cemetery. Informant was Ruth Brown, 906 Faison Street, Wilson. 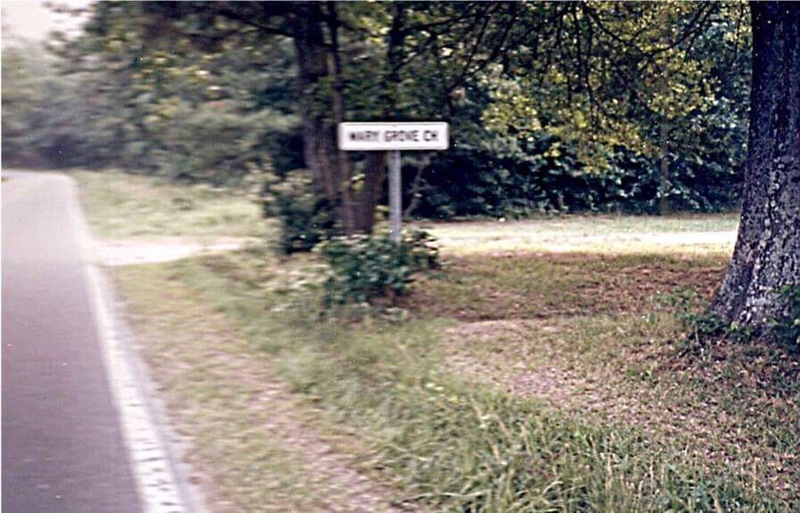 Mary Gertrude Jones died 17 September 1968 in Goldsboro, Wayne County. Per her death certificate, she was born 16 February 1880 to Henry Johnson and [Louisa] Kersey; was a widow; had worked as a tobacco factory laborer; resided at 412 East Vick Street, Wilson; was buried at Masonic cemetery. Ruth Jones Brown died 24 September 1970 in Wilson. Per her death certificate, she was born 8 February 1904 in Wilson to Charles T. Jones and Gertrude Johnson; was married to Edwin J. Brown; was a teacher; and resided at 906 Faison Street. Photograph by Lisa Y. Henderson, October 2018. The headstone, of course, was engraved by Clarence B. Best. Baltimore Afro-American, 3 November 1917. 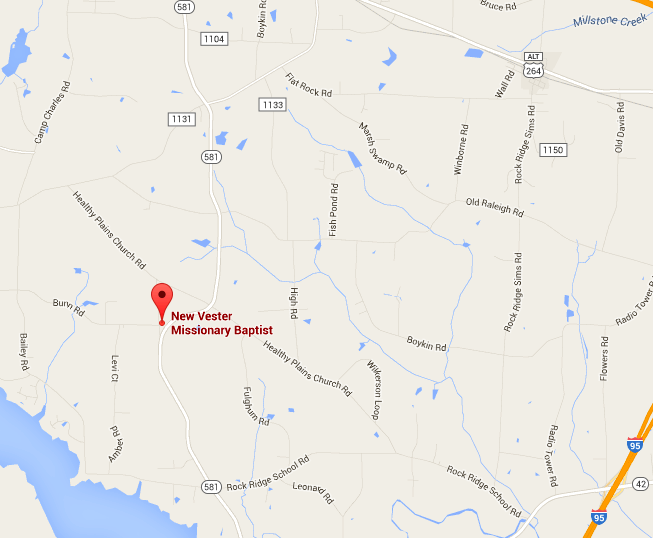 “The Bear Creek Missionary Baptist Association was organized in 1872 by Rev. R.H. Harper, who was in the organization of Educational and Missionary Convention, together with Rev. W.H. Croom, Rev. J.C. Carroll and Rev. I.N. Patterson. Much credit is also given to Rev. 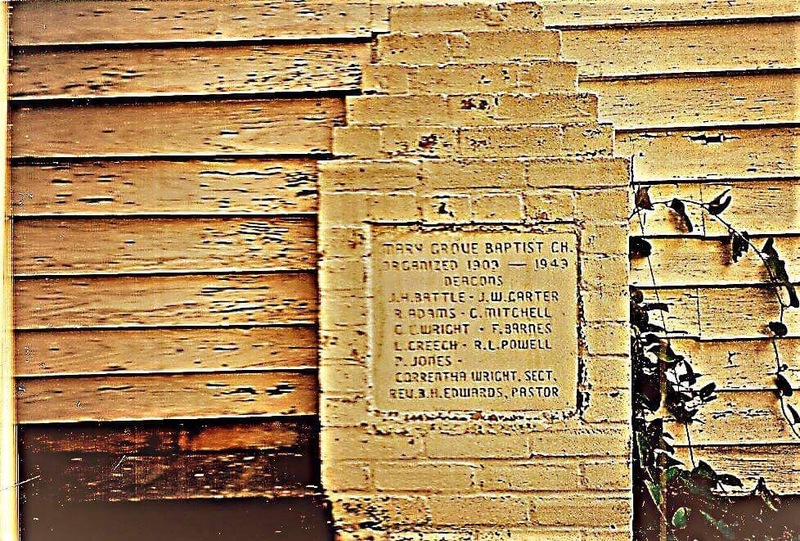 A.A. Smith, the secretary who did much to strengthen the cause of the Bear Creek Baptist Association.” Rountree Missionary Baptist is not listed as a current member of the Bear Creek Association. Studio shots, no. 54: Rev. Benjamin F. Jordan. This portrait of Rev. Benjamin F. Jordan hangs in a ground-level hallway at Jackson Chapel First Baptist Church in Wilson. In the 1880 census of Richland, Beaufort County, North Carolina: day laborer Phillip Jordon, 38; wife Elizabeth, 30; and children David F., 10, Solomon, 6, Judy Ann, 4, and Benjamin F., 1. In the 1900 census of Idalia township, Beaufort County: farmer Phillip Jordan, 56; wife Elizabeth, 49; son Solomon, 26, daughter-in-law Carseary, 21; their child Perline, 1; daughter Julia A., 23; and son Ben F., 21. In the 1910 census of Lumberton, Robeson County, North Carolina: Benjamin F. Jordan, 30, minister, was a boarder in the household of John H. and Margret Kinnear. On 26 October 1910, B.F. Jordan, 32, married Maggie E. Dickins, 24, in Elizabeth City, Pasquotank County, North Carolina. In 1918, Benjamin Franklin Jordan registered for the World War I draft in Bladen County, North Carolina. Per his registration card, he was born 21 April 1879; was married to Maggie E. Jordan; and worked in the ministry. In the 1920 census of Mullins township, Marion County, South Carolina: on Laurel Street, clergymen Benjamin F. Jordan, 40; wife Maggie, 32; and children Benjamin F., Jr., 6; Marion, 4, Milford, 2, and Odis, 1. In the 1930 census of Wilson, Wilson County: at 1113 East Nash Street, minister Benjiman Jordan, 50; wife Maggie, 44; and children Milford L., 12, Odis, 11, Williard, 10, Irene C., 8, and James D., 6. Benjamin Franklin Jordan died 8 December 1955 at 717 East Green Street, Wilson. Per his death certificate, he was 75 years old; was a minister; was born in North Carolina to Phillip Jordan and Elizabeth (last name unknown). Informant was Marion J Maultrie, Philadelphia, Pennsylvania. Cemeteries, no. 9: William Chapel church cemetery. William Chapel Missionary Baptist Church is one of three extant 19th-century churches in the Elm City area, and the only one with a cemetery. 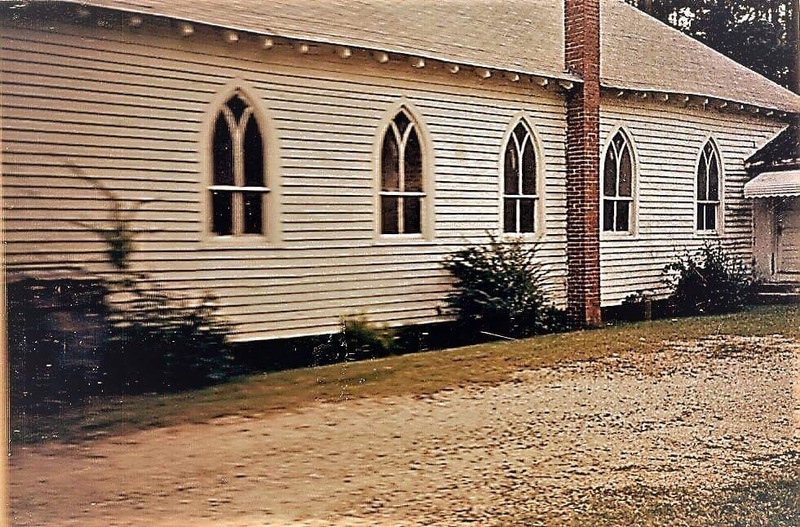 The church is about three miles northwest of Elm City on William Chapel Church Road, which runs just inside and roughly parallel to the Wilson-Nash County line. The cemetery lies a few hundred feet west of the church, across from Silver Lake Cotton Gin.